Halo is an outstanding family of hearing aids from Starkey Hearing Technologies. Halo Made for iPhone hearing aids have won numerous industry awards: the 2015 Silver Edison Award, the 2016 Gold Spark Award, the Gold Product Design Award for cutting-edge design, and the 2017 SXSW Interactive Innovation Award for Wearable Tech. 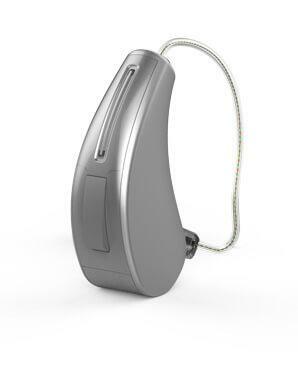 Now in its third iteration (with Halo and Halo 2 setting the precedent), the Halo iQ is Starkey’s latest smartphone compatible hearing aid, with advanced noise reduction and precise directional microphones to make speech sound more natural and easier to hear in today’s complex listening environments. Through the TruLink app, the Halo is designed to connect to the iPhone, iPod touch, Apple Watch, and other Apple devices. Halo iQ is powered by Starkey’s latest sound processing platform, the ultra-fast and precise Synergy. The Synergy Platform with Acuity OS 2.0 provides wearers with crystal clear hearing. Introducing quad core twin compression technology, the Synergy platform transmits the subtleties of the sounds in the environment, delivering easy to understand speech without losing out on the ambient sound qualities of the voice or the surrounding environment. In this binaural, or both ear, system, many sounds are classified and adapted, so the listening experience is full and immersive. The Synergy Platform processes way more auditory information, and from farther away! Powered by Synergy, Halo iQ helps patients engage in life in a more personal way with richer sound experiences, enhanced speech quality, and reliable technological features. Halo iQ offers a number of new and improved features for a seamless and sophisticated listening experience. Halo iQ delivers advanced noise reduction technology and directional microphones that simultaneously work together and make speech recognition easier for wearers in challenging noise environments. With feedback reduction and high-frequency audibility, the Halo provides wearers with a comfortable listening experience. Connected to the iPhone, wearers are able to stream phone calls and music or media directly to their hearing aids. 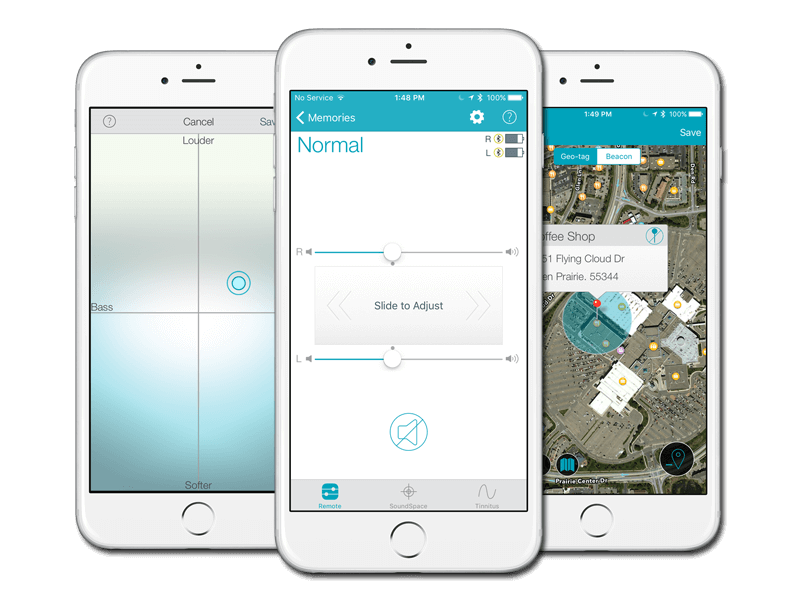 Additionally, the Halo geotags wearer preferences using a GPS feature in the iPhone, which detects and automatically changes programs as you move through different spaces. This provides wearers with a seamless listening experience. Halo iQ features such as Acuity Immersion Directionality and Acuity Quiet give wearers a nuanced interaction with sound. Acuity Immersion Directionality provides wearers with front-to-back cues, ensuring a more natural and safe listening experience. Similarly, Acuity Quiet improves upon Acuity Voice, allowing wearers to focus and hone in on speech sounds, even with the interference of background noise. 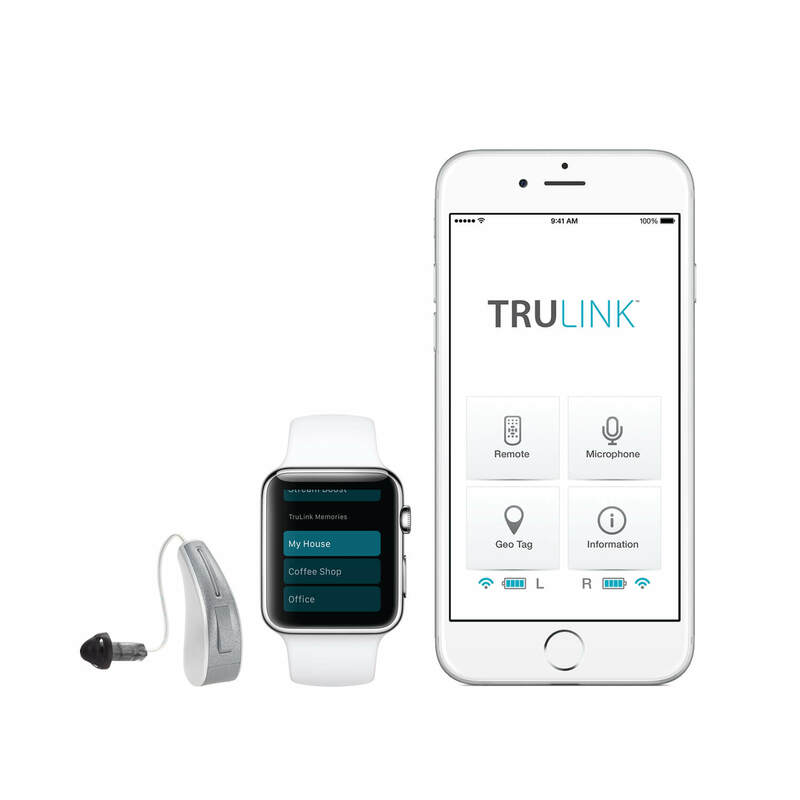 Binaural Imaging relies on ear to ear communication by TruLink and your Apple device to provide high-definition audio. This provides Halo iQ wearers with both comfort and speech audibility. Furthermore, features such as Speech Optimization and Acuity Directionality enhance speech in conversation up to 6 decibels, ensuring that you will be able to converse in a wide range of environments. In noisier environments, Acuity Voice and Lifescape Analyzer use a two-part algorithm to ensure that voices are audible in noise. With the understanding that their hearing aid wearers continue to lead active lives, Starkey has included Acuity Lifescape Analyzer in Halo iQ’s roster of features. With seven different sound classes, Halo iQ makes automatic adjustments as you move through different environments, ensuring seamless and natural listening. Other excellent Halo iQ features include a program for music lovers, providing crisp and clear sound that respects the wider range of frequencies found in music. Even more, with wireless connectivity, Halo iQ wearers may enjoy music through their hearing aids, as they would stereo headphones. Feedback cancellation features anticipate and eradicate the whistles of feedback even before they occur, while TruLink ensures that Halo iQ controls are always within your reach. 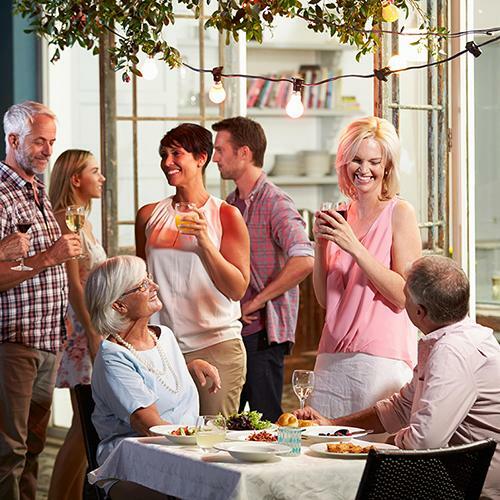 For those who suffer from tinnitus, Halo iQ is equipped with Starkey’s effective Multiflex Tinnitus Technology, which works as a binaural system with heightened customization for your comfort. Coated in Surface Nanoshield, Starkey’s Halo iQ is a great choice for people on-the-go, ensuring that moisture, sweat, dirt, and oils do not penetrate the device’s inner mechanics. Go anywhere with the Halo iQ and your iPhone, and feel confident in your listening experience. Halo iQ is available as a receiver-in-canal model and a behind-the-ear model, with customizable colors. Interested in Starkey Halo iQ hearing aids?